Good evening, dear readers! 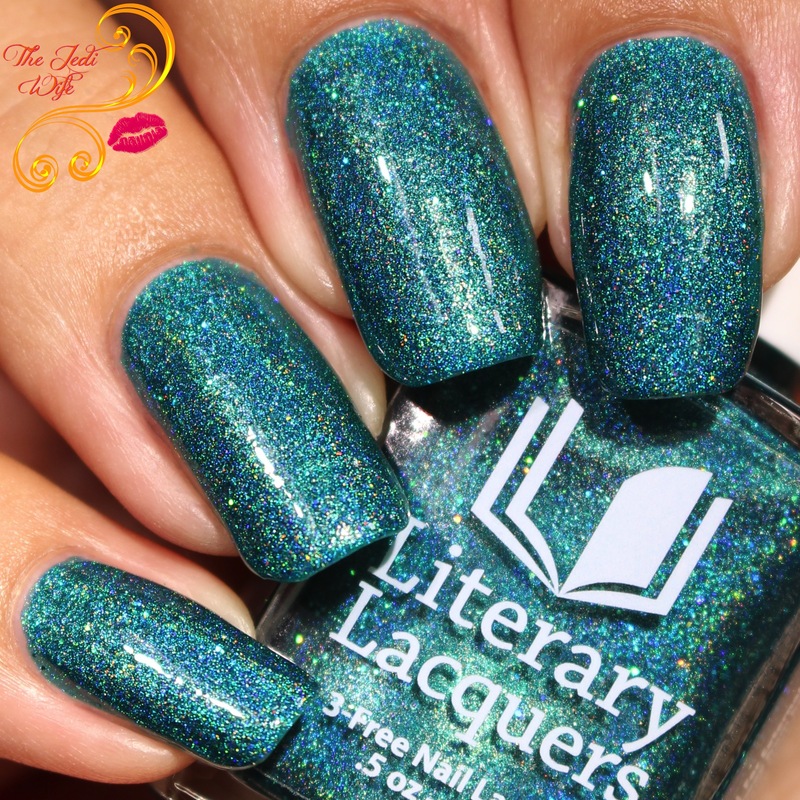 In my previous post, I shared the new Literary Lacquers trio inspired by The Ocean at the End of the Lane. I had mentioned in my post that there will be two limited edition shades also available with the shops' relaunch, and I have them and a few returning favorites to share with you today. Let's check out the upcoming Limited Edition Shades first! Inspired by The Invention of Wings by Sue Monk Kidd. Designed with Kaitlin Vasatka. 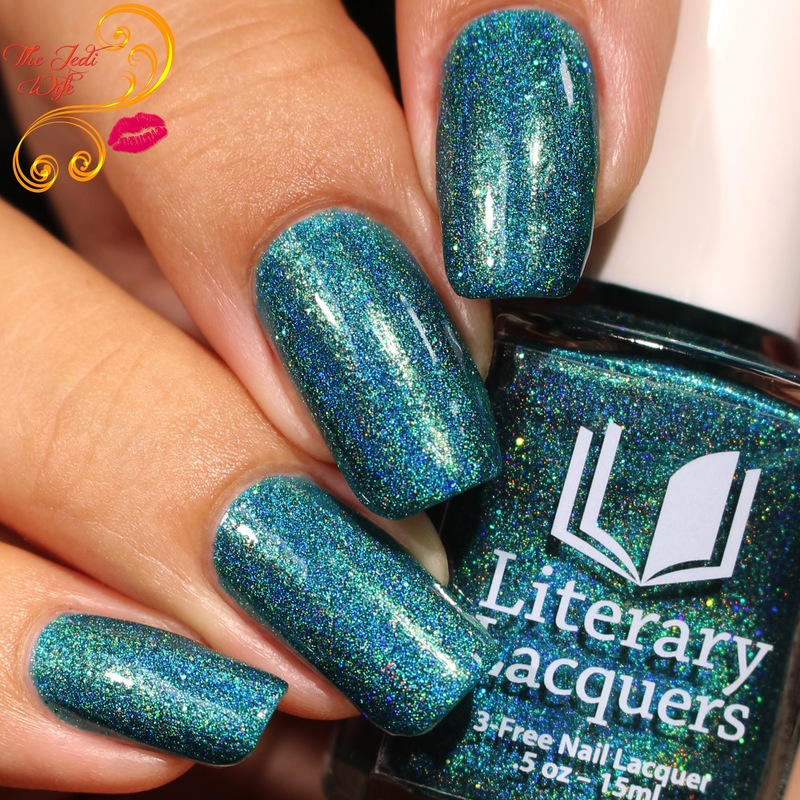 If you're a fan of literature, book clubs, and custom polishes inspired by books, I hope you're joined the Literary (&) Lacquers facebook group! If not, now is a great time to join! Of course, if you're like me and always have the best of intentions to read the current book and usually fail miserably, you are still welcome in the group! 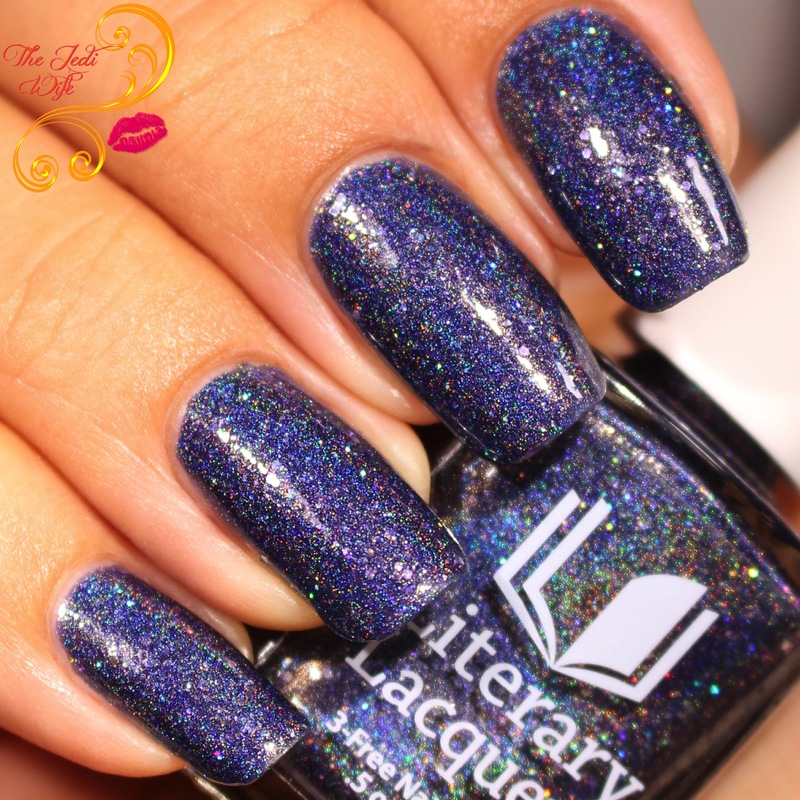 Handful of Falling Stars is the newest book club custom, and it is a beauty! This sparkling beauty captures the night sky so perfectly, and I am quite smitten with this one. Between a gorgeous colour and a formula that applies like a dream, I can't image why anyone wouldn't want to adorn their nails with this stunner! Shown here with two coats plus top coat. When I was searching for the right name for this gift with purchase polish to adequately express the gratitude I have for the support and love given to me by my fans and customers as I come out of this long dark period of LitLaqlessness, Alex pointed me in the direction of The Long Way to a Small Angry Planet, a brilliantly fun sci-fi book by Becky Chambers. The book introduces a few interesting alien species, including Sissix, the reptilian feathered Aandrisk tech. Thanks for being my feather family. I've become a big fan of pink polishes since I started blogging, and Feather Family is simply beautiful. The colour is lovely and the ultra-smooth formula practically applies itself to the nails. I wore it here with two coats plus top coat. 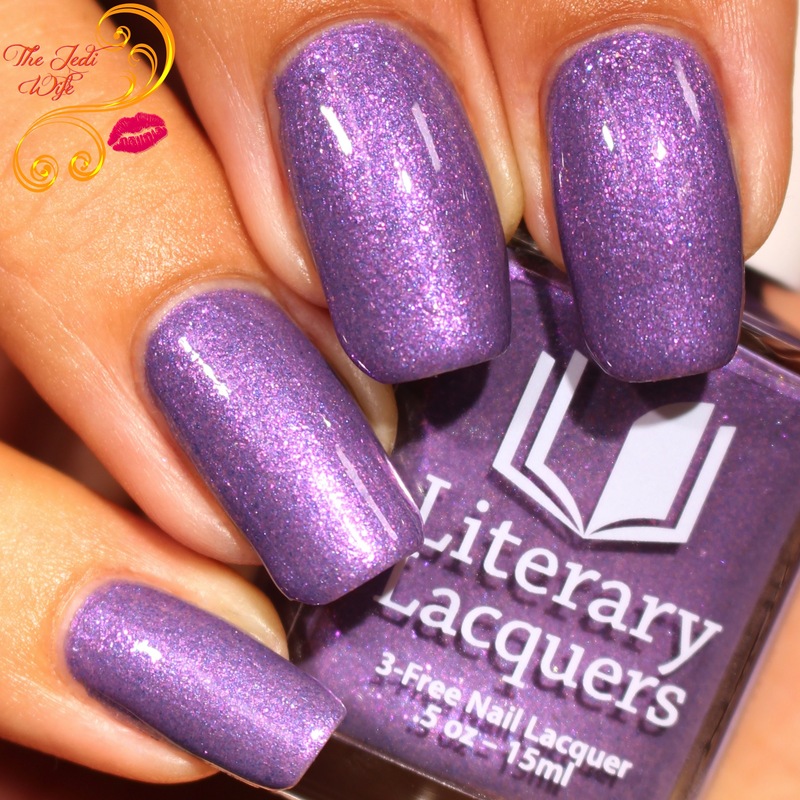 This gift with purchase shade will be included in any orders over $20 at the Literary Lacquers shop. Purchases of $20 will include a mini-sized bottle of Feather Family while a full-sized bottle will be included in orders of $50 or more. Feather Family and Handful of Falling Stars are Limited Edition shades that will only be available June 23rd through July 9th. 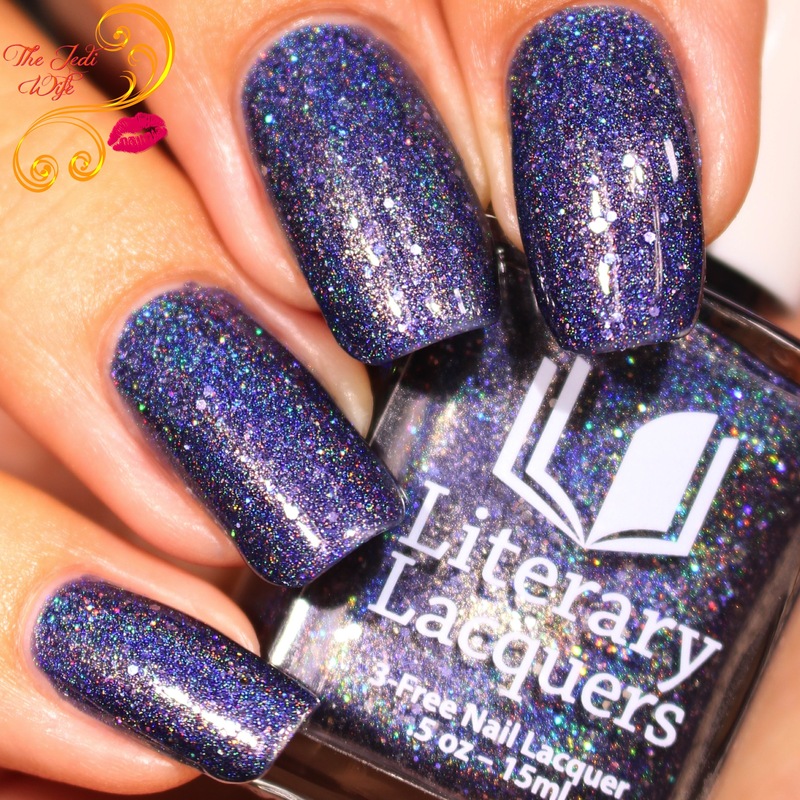 The relaunch of the Literary Lacquers shop means the return of several favorites from previous launches. I have revisited a few of the shades for this post to help convince you to add these to your collection if you don't have them already. While holographic nail polishes with extra bling are pretty spectacular, sometimes I just want something beautiful but without all the frills. Green Gables is the perfect option for any green lover! It's a great shade of green no matter what time of year! The formula is not too thick or thin and applies flawlessly with three coats for opacity. Those with shorter nails or who prefer to use thicker coats may find they only need to use two coats. I also added top coat for these photos. Marilla's Amethyst Brooch is one of those shades that is so gosh darn pretty and yet I rarely see it get any love in the polish community. If holographic polishes aren't quite your jam or you just want to mix it up every once in awhile, Marilla's Amethyst Brooch is a beautifully delicate and feminine option. I just love this polish and would love for others to give it some more love too! 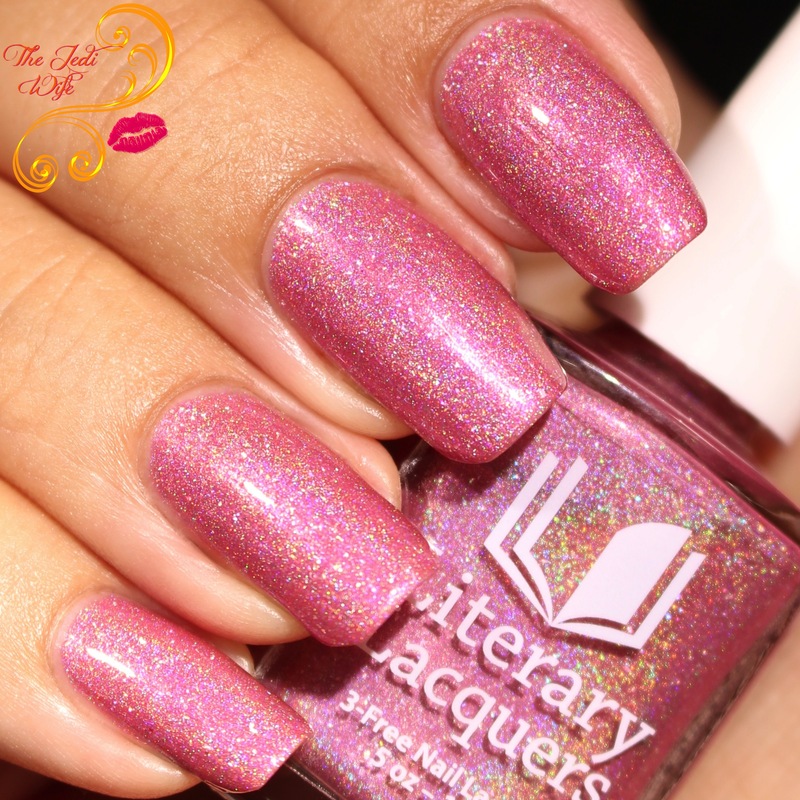 The formula is a little thicker than what I've come to expect from Literary Lacquers, but it was still easy to apply to my nails. I have it shown here with two coats plus top coat. Because it is a thicker formula, it could potentially be a one coater with careful application should you tend to paint with thicker coats. Ah, Pan Galactic Gargle Blaster (PGGB)! 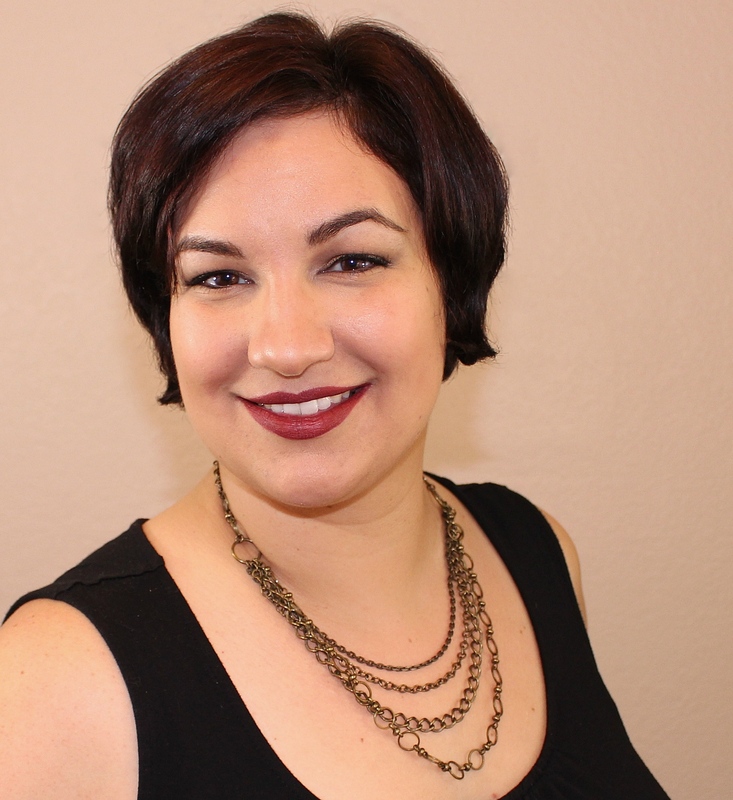 While Amy has created so many gorgeous polishes, PGGB is an iconic Literary Lacquers shade. If you're a fan of holo, teal, and sparkle, Pan Galactic Gargle Blaster is a MUST HAVE for your collection. I had this on my toes while on the beaches in Hawaii, and I have to say, it was pretty amazing! The formula is really easy to work with, and I needed two coats for opacity. I also added top coat for these photos. 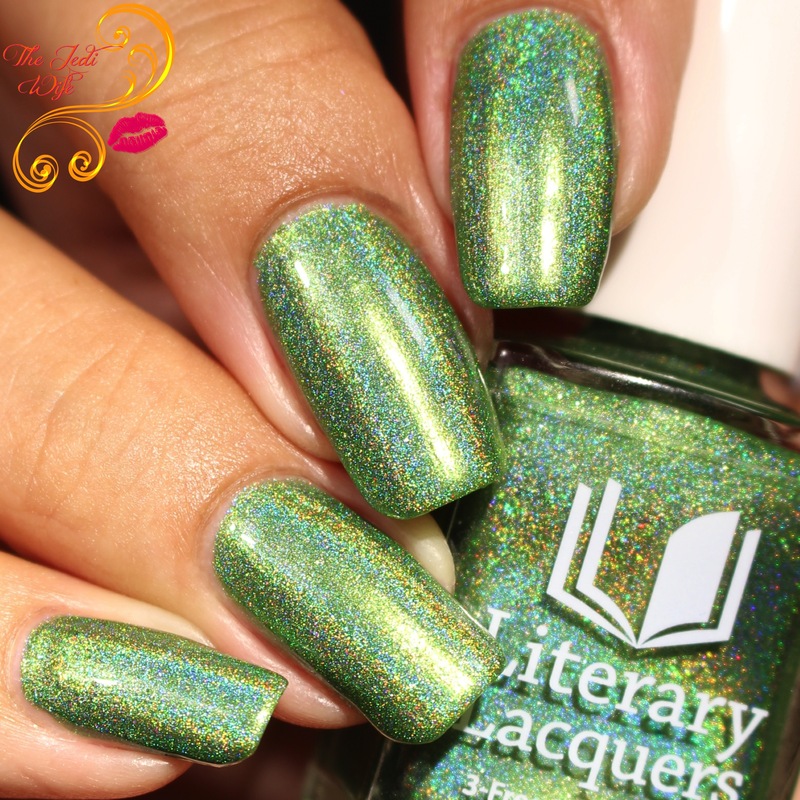 The Literary Lacquers shop is scheduled to relaunch this Friday at 12 noon MDT. Please note this is NOT a pop-up: the shop will continue to remain open. Feather Family and Handful of Falling Stars are Limited Edition shades that will only be available June 23rd through July 9th. Other than these two polishes, the listed core polishes will be restocked continuously. 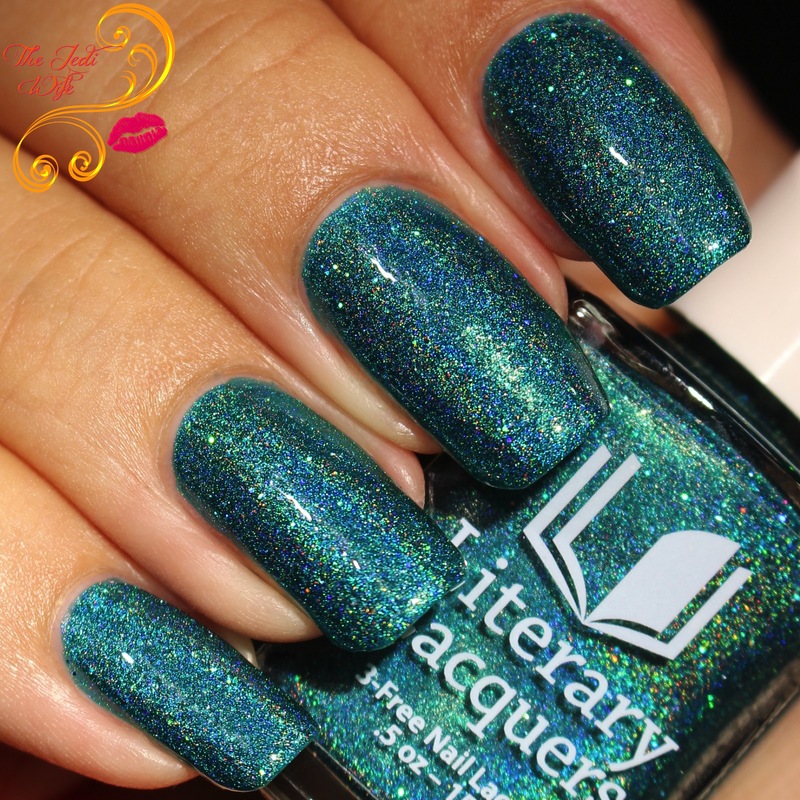 If your favorite Literary Lacquers shade is not on this list, have no fear! There will be other shades returning to the shop at a later time. 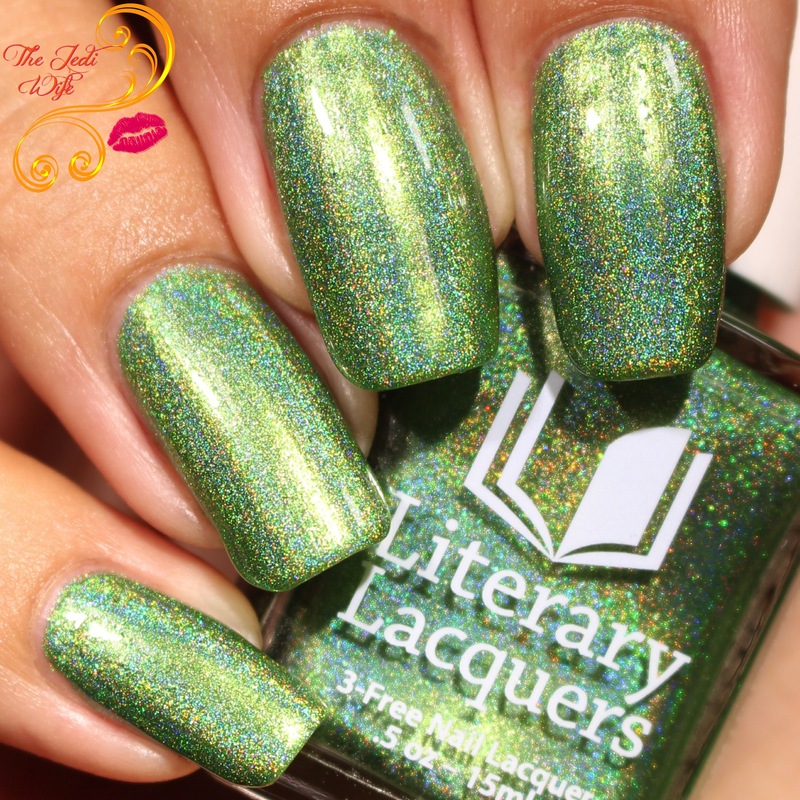 You can also join the Literary (&) Lacquers facebook group to suggest shades you would like to see return to the shop. 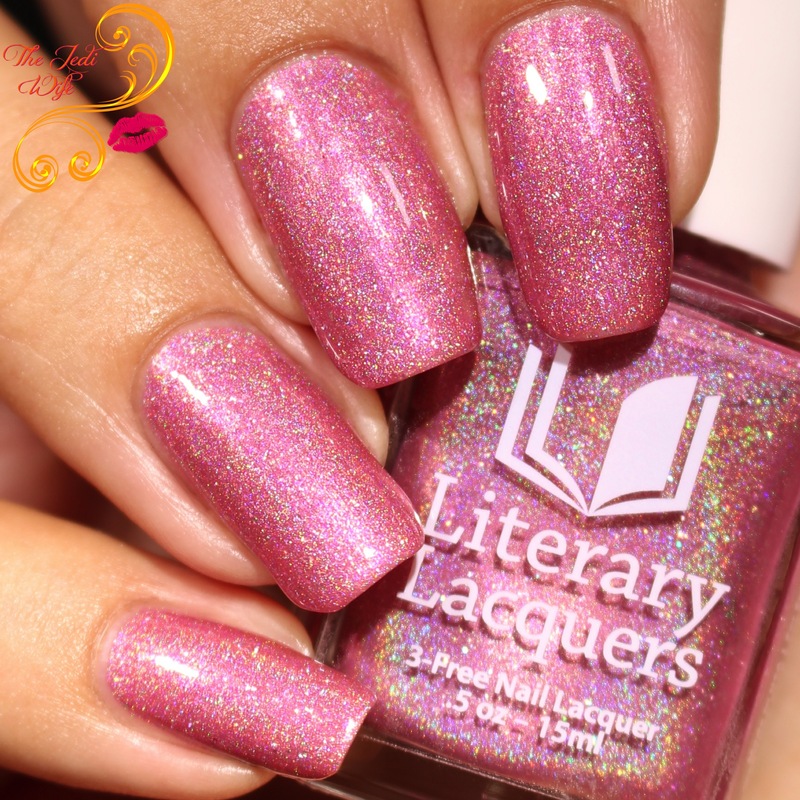 Are you excited about the relaunch of Literary Lacquers? I know I am! What shades are you planning to pick up? Is there anything you hope to see make a come back in the future? I'd love to hear from you! These are all so pretty! I don't know how to pick a favorite! 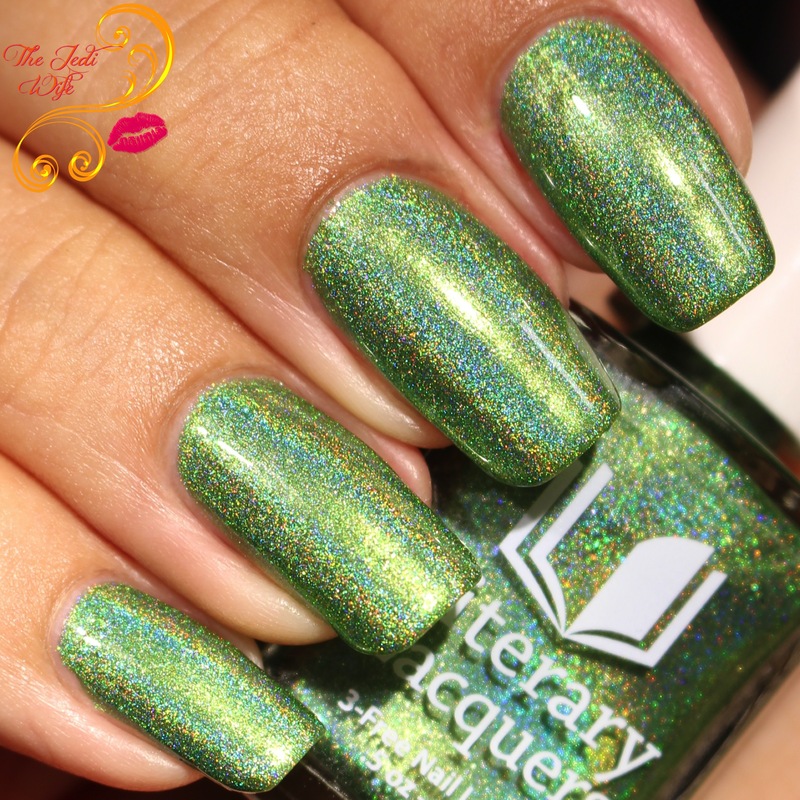 Green Gables is so pretty - all that holo!! I remember when Pan Galactic Gargle Blaster first came out!! Handful of Falling Stars is so gorgeous! I can't choose a favorite! They're all so amazing on you! I'm going to have to add Green Gables and Marillas Broach to my must get list. I absolutely loved Anne of Green Gables when I was little. I still don't have any Literary Lacquers yet. Dying to try them. Will I see you in July? Such pretty colors! I'm loving the first one the most. You take some of the most gorgeous holographic swatches I've ever seen!